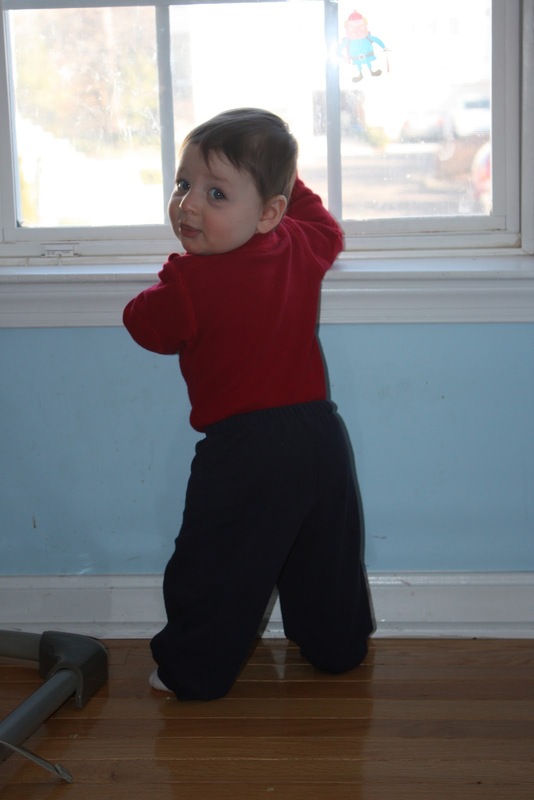 This week, Lincoln discovered windows this week and is a huge fan! Talking up a storm during breakfast. 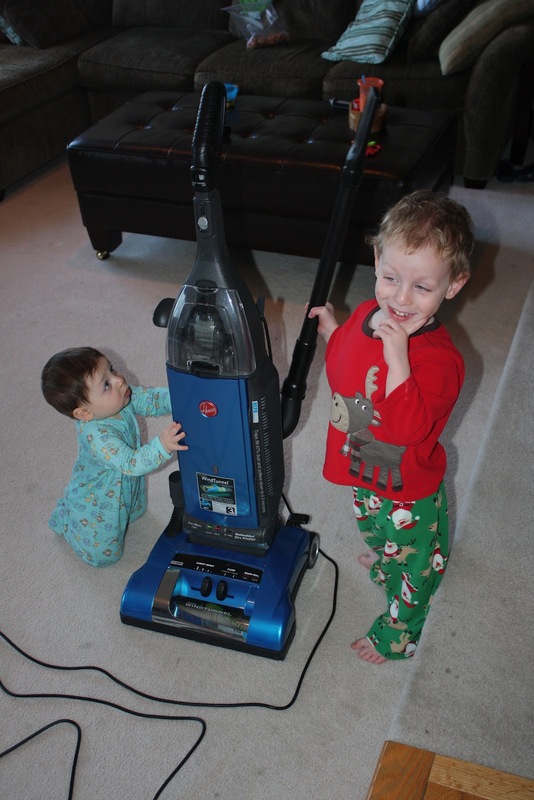 Joining in Ben's love of vacuums.